When you’re making that all important shift into being a green machine, keeping track of how you’re doing is just as important as the who and what and why. These are four baby steps to get you started. Here’s one you can take as fast or slow as you want. Our entry level option includes what most people think of when they hear “recycling”: Bins for paper and plastic, maybe even separate glass and aluminum bins if you’re feeling fancy. If you want to take it further, you can set company-wide recycling goals, or get involved with a community recycling program. Recycling ink cartridges saves money and resources and food waste can be recycled right into a company compost pile, the natural accompaniment to a rooftop garden. You might be a little bit scared to go paperless, but this is one of the biggies. Start out by making a pledge to keep most of your documentation on computers or in the cloud and only print the essentials, and when you have to print, buy recycled paper and print on both sides. Signing up for paperless billing to cut your usage even further, and do your best to offer paperless services to your customers wherever you can. Look into professional services like digital contract creation companies. This will help keep your business paperless while keeping everything legitimate as well. If it’s not enough to be just recycling the plastic for you, consider going the whole hog and kicking it out of the workplace altogether. Handing out reusable water bottles is a good place to start, and varying the style and size of the bottle options you have available is a better way to continue. By installing a water filtration system in your office, you’ll save time and money—and the environment, too. This can be step one in a multi-step process. Starting up a “Bring Your Bike to Work” day can help to encourage people to get a little exercise while also cutting down on gas guzzling cars and carbon footprints. If you kick things off yourself, it could encourage more people on your team to join in, and if you offer some kind of reward for “most days biked”, or even biking more days than you drive, competitive spirit will do the rest. 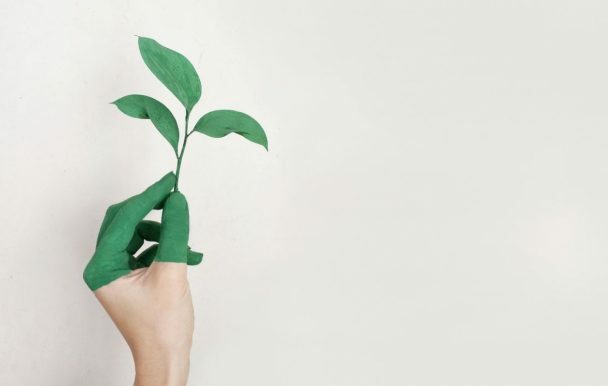 Whether your business is two years old or about to hit its forties, becoming more eco-friendly is a wonderful way to say you care about our planet Earth. Times are changing. Going green will endear you to your community and keep your business thinking to the future.